Each generation of the Morlet family has contributed to the development of their winemaking techniques. The family's philosophy is based on authenticity, excellence, and craftsmanship. By simply allowing nature to progress in its way and at its own pace, the Morlets have been embracing a non-interventional or laisser-faire approach. They consider this to be crucial in the full expression of their different terroirs. With each vintage, the Morlets make decisions based upon the characteristics of the growing and ripening seasons. If given the chance to remove a winemaking manipulation, they do not hesitate to do so. 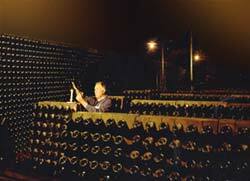 New technologies are only applied if they fully preserve the integrity of the quality of the Champagnes. Therefore, the Morlet family always maintains a sense of artistry. Champagne winemaking, or Champagnization, requires a great deal of winemaking technical knowledge. The Morlets are extremely detail-oriented, intuitive, and precise throughout each step of the process. The grapes are hand picked, hand sorted in the vineyards, and are transported gently in perforated lugs. The fruit is then pressed traditionally (gentle and fractioned pressing) by certified pneumatic presses. The alcoholic fermentation is rather slow, fostering aromatic complexity. This occurs in either small capacity stainless steel tanks (in order to preserve the identity of the different vineyard parcels) or in French oak demi-muids barrels, used almost exclusively by Pierre Morlet Champagne. With a capacity of 600 liters (about 160 gallons), the demi-muids barrels present several great advantages. The proportion of oak surface to wine is the best for the ageing of the delicate base wines. The breathing of the young wines through the pores of the staves is very moderate, and the extraction of the compounds from the oak is very limited. Furthermore, the proportion of new barrels is minimal, and the toast level is very low. The weekly batonnage enhances the aromatic complexity while increasing the "gras" (mid-palate). Malolactic fermentation is carried out 100% in order to increase aromatic complexity and mouth feel roundness, and to achieve natural microbiological stability. 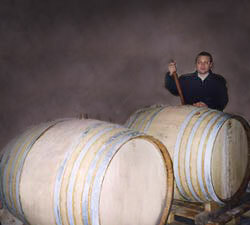 Base wines are clarified by a long cold settling during the winter. After the usual spring bottling, the bottles are then placed in the Morlet's underground caves. The bottles are on their lees horizontally for two years (sur lattes) and then vertically for one to three years (sur pointes). The riddling process is gently carried out using gravity, by turning the bottles by one eighth and simultaneously tilting them. The bottles are disgorged three months prior to shipping. The Pierre Morlet Champagnes are released upon maturity. The Grande R�serve is released a minimum of four years after harvest, and the Millésime is released five to eight years after harvest.